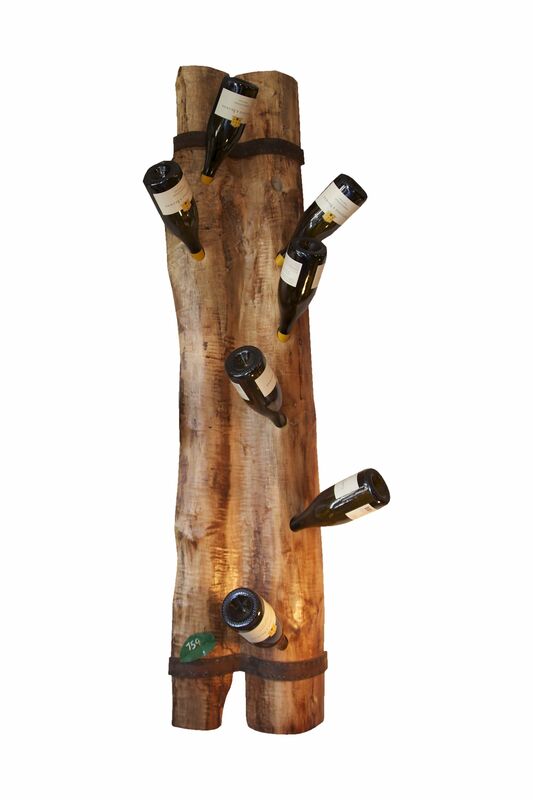 Reclaimed, live edge vertical 8 bottle wine rack. We added reclaimed antique farm equipment leather strapping accents. The wood has been sanded, waxed, buffed. Need something slightly different? Let us know. We can design and create your own unique one-of-a-kind piece.